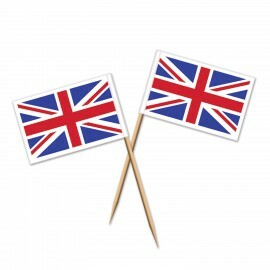 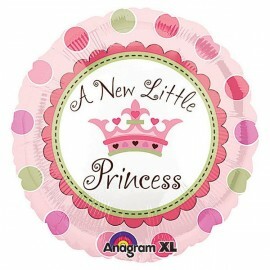 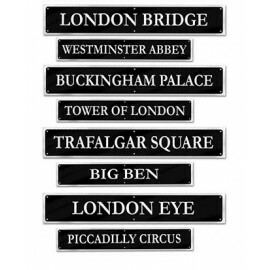 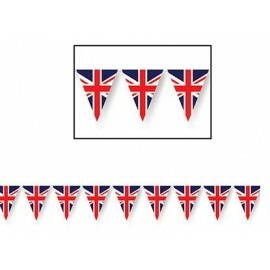 British Cutouts Assorted Pack 48cm to 66cm Cardboard Printed both Sides Pack of 4..
British Street Signs Cutouts Assorted Designs Printed Both Sides 61cm x 10cm Pack of 4.. 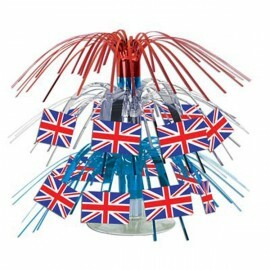 Centerpiece British Flag Mini Cascade (19cm High) metallic & cardboard Each.. 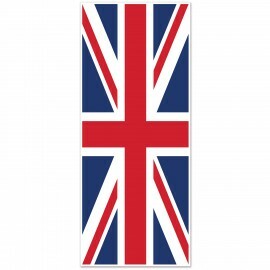 Door Cover Union Jack Plastic 76cm x 1.83m Indoor & Outdoor Use Each.. 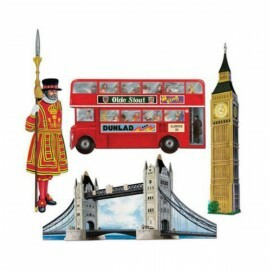 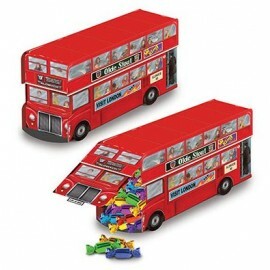 Double Decker Bus Centrepiece British Cardboard 23cm x 13cm Each..
Mini Hanging Fan Decorations Purple (15cm) Pack of 5.. 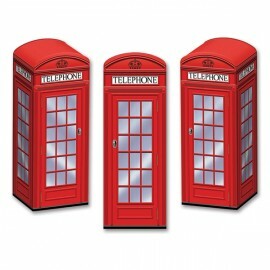 Phone Boxes Telephone Favor Boxes British 7.6cm x 22cm Cardboard (Some Assembly Required) Pack of 3..
Picks Union Jack 6.4cm Pack of 50..
Union Jack British Pennant Banner 3.66m Plastic Indoor or Outdoor Use - 12 Pennants 27cm x 21cm Each..